We understand that it won’t be easy to take care of a loved one when you have your own personal life to manage each day. With this, Compassion Home Care offers you support in taking care of your senior or disabled loved ones who need 24-hour care. We have caregivers who can work with your loved ones at home, 24 hours a day, 7 days a week. 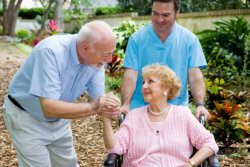 If you are interested in this kind of service or any of the services for Non-Medical Home Care in Winter Haven, FL, you may contact us at 863-845-2268 for assistance. You may also send us a message on our Contact Us page.